Flippity is such an amazing tool for educators to use! 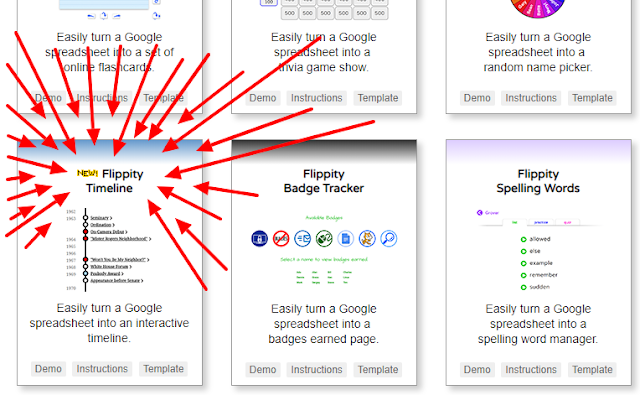 Flippity.net is now up to 19 different activities for teachers to use in their classrooms. Each activity template is a Google Sheet. Easy to change, update, and add your own content. If you haven't been using it, start now! We've been blogging about this resource for years, check out our past blog posts here. Want to Make Your Own Random Name Picker? Edit the Names. Enter as many as you wish. Label your roster by changing the name of the worksheet (at the bottom). Click on the Flippity.net link to pick a random name, lineup, group, team, or seating arrangement.